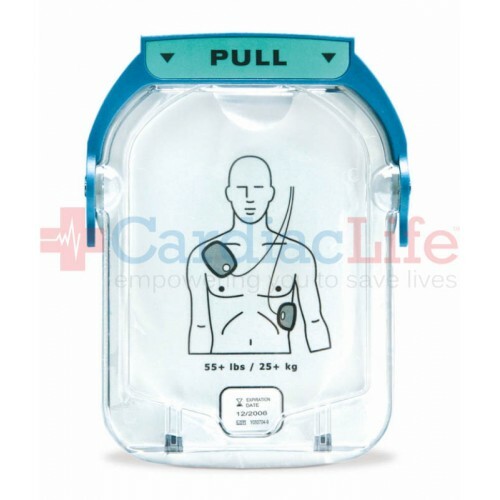 The Philips OnSite AED Cartridge holds one set of adult electrode pads. The Philips “Pull” handle makes access easy and time efficient. 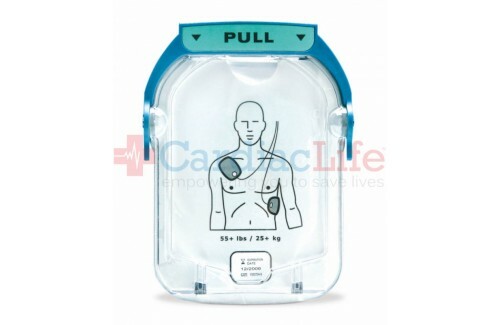 The cartridge can easily be snapped into the OnSite AED, making replacing your electrodes easier than ever. The SMART pad cartridge has a 2-year shelf life. Adult pads are for patients weighing 55 lbs. (25 kg) or more.